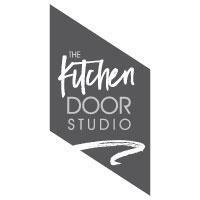 The Kitchen Door Studio - Kitchens based in Bexleyheath, Kent. At The Kitchen Door Studio, we specialise in transforming kitchens. Changing as little or as much of your existing kitchen as you want to, from a door change to a fully fitted kitchen. We also offer an installation service for kitchens bought from Howdens and DIY stores we can also Supply Howdens kitchens offering FREE Planning, Advice and Design. We have hundreds of door and colour combinations to create the exact look you require. We can offer appliances, all types of worktops, storage solutions, sinks and taps. All our doors are made to measure, and are made in the UK so we can tailor fit any kitchen. We pride ourselves on attention to detail and with over 12 years' experience of fitting kitchens we can create the kitchen of your dreams. Our bespoke service manages all your needs, from design through to the completion saving you thousands by simply replacing door fronts. We are a family run business with over 12 years' experience. We pride ourselves on being able to offer the personal touches and commitment to your project always maintaining a high level of customer service and value for money. We are happy to give you a free no obligation quote with no pressure selling.